Smart Defrag is a free defragmentation tool developed by “IObit”, which enhances your hard drive performance with the help of disk defrag engine and “Boot Time Disk Defrag” technology. It is super fast and completely secure disk defragmenter that guarantees disk stability and data safety. With just one click, you can maximize hard drive performance to highest potential. This tool is fully compatible with Windows 8/8.1, 7 as well as Windows XP, Vista and 2000 operating systems. 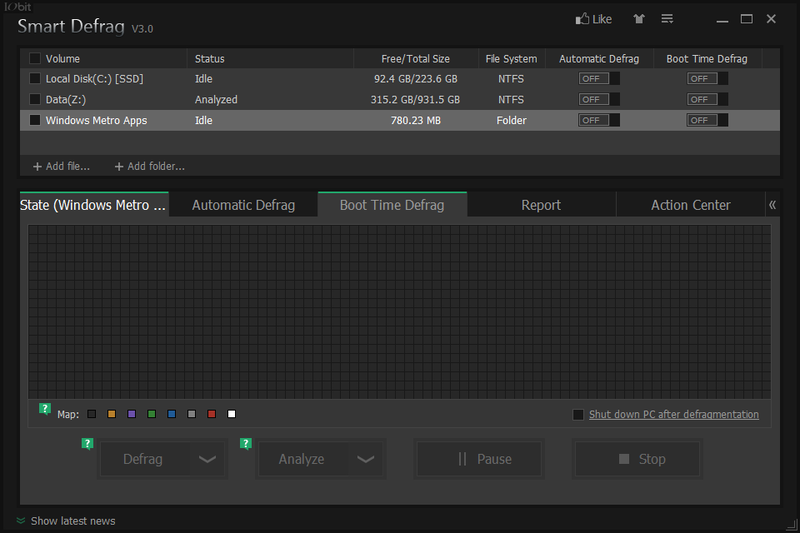 You can run Smart Defrag either manually, by running at boot time, background, or scheduling it on specific time. It offers three manual defragmentation modes – Straight (fastest), Fast and Deep optimization. You can choose specific volumes or partitions that are to be defragmented consistently. This can be done by setting “Auto Defrag” option in program settings. You can stop Smart Defrag activity when resource usage climbs above a set level. Smart Defrag 3.0.3 is the latest version from “IObit” which includes the following changes from the previous ones. [NEW] Attractive Metro-style User Interface with new defragmenting map and improved function to broaden and slim interface. [NEW] Defrag and Prioritize files to accelerate data processing of frequently used files by intelligently prioritizing drive data and centralizing the storage for ultimate speedup. [NEW] Disk Defrag engine that ensures 100% secure defragmentation and powerful disk optimization. [IMPROVED] Accelerated Defragmentation and Optimization. [IMPROVED] Automatically save logs for defragging and analyzing. [IMPROVED] Reduced the usage of memory and system resources when running Smart Defrag. After running Smart Defrag, you can launch files and applications more quickly which everyone wants a defragmenter to accomplish. It intelligently streamlines your hard disk files based on frequency and accelerates the speed of the disks and thus improves whole system’s performance. It is completely suitable for large hard drives as well. The user interface is neatly designed with clutter-free arrangements. You can select either “Analyze” or “Defrag” the loaded hard disk partitions. It gives completely information of the hard disk volume such as name, status, total size, free size, file system, and options to enable automatic/boot time defrag. You can pause or stop the operation at any time if you want, but that’s not recommended which affects your system’s stability. You can set the time to start Auto Defrag when system gets idle. 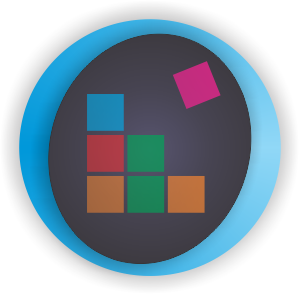 Latest and Fastest Defragmentation engine designed for both small and large hard drives. Not only perform simple defragmentation, it also streamlines your file system to run your computer at top speed. Works automatically and quietly in the background, and constantly ensures that your computer is fragment-free. “Safe Intelligence” technology that decides when and how to execute defragmentation, which guarantees data safety and reliability. Boot Time Disk Defrag technology allows you to perform defragmentation at boot time. Overall, Smart Defrag 3 is a great tool for defragmenting both small and large hard disk volumes. It has excellent features to operate a quick and deep defragmentation, using only a little amount of system memory. 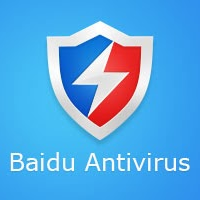 Baidu, the popular Chinese web services company comes with free antivirus software offering excellent PC protection with its superior “Baidu Antivirus Engine” and “Baidu Cloud Engine”. These two engines are integrated with Avira, one of the leading antivirus engine providing comprehensive virus detection and removal. Baidu Antivirus 2014 is an award-winning, free antivirus and cloud security software that delivers five layer-defense mechanism against all traditional and emerging viruses, malware, spyware, Trojans, and other threats. Baidu Antivirus 2014 runs on your system consuming fewer resources without affecting the computer performance. It runs perfectly alongside other antivirus or internet security programs without any issues. It is compatible with Windows 8, 7, Vista and XP. The new version - Baidu Antivirus 2014 4.0.3 has improved stability and performance. As soon as the product completely installs on your PC, it performs three things – Compatibility verification with the existing tools, Update virus-definitions, and Scans your system quickly. You can set the virus detection levels to Low, Normal and High depending on your PC performance and stability. You can even disable Avira engine, if you want. The user interface is modernized, smooth and quick in operation. The main program window shows the three types of scans available – Quick, Full and Custom. The product version and virus database update status are displayed in the bottom. 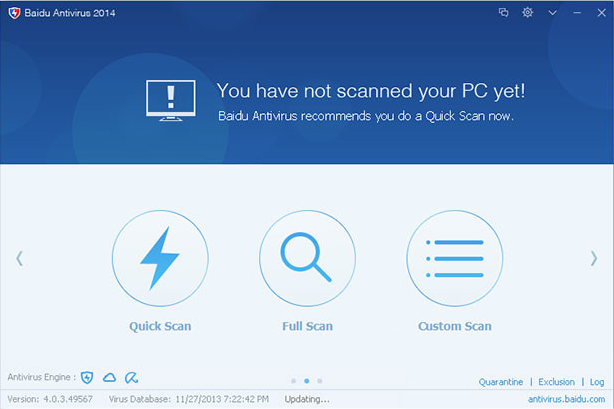 Baidu antivirus recommends a virus scan every week to keep your PC safe. Cloud File Scanner – Identifies threats using a cloud database, i.e. in real time. Browser Protection – Protects your default browser and homepage from being changed automatically by malicious attempts. Language Translator – Customized translation for your desired language. Baidu Antivirus 2014 is fully enabled to protect your PC in real-time, which includes System, Registry, Driver, USB, Application, and Critical System Location Protection features. The internet features include Anti-phishing and Download protection with customization. Your most sensitive data such as documents, photos, and other critical information is protected with three functions – Anti-Keylogger, Screen Capture Protection and Webcam Protection. These three functions make sure that your sensitive files are not exposed to hackers, spyware, phishing, and network intruders. The privacy protection makes you invisible, with no ability to track your information. 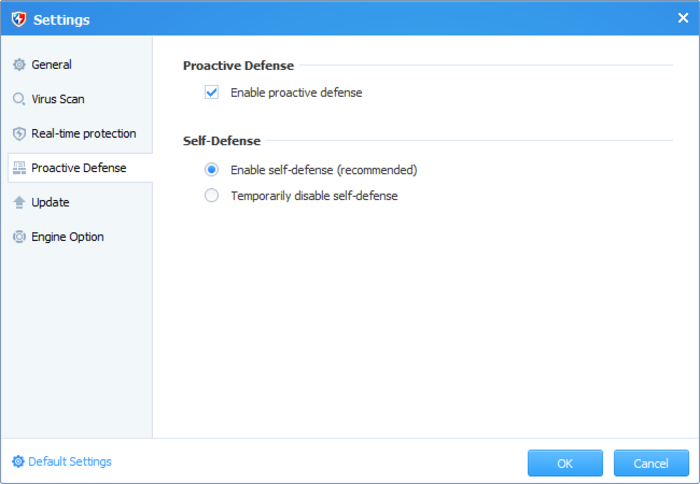 Baidu antivirus provides local proactive defense along with Cloud proactive defense to completely protect your computer from unknown malicious software. The proactive defense monitors program’s behavior locally to identify viruses and removes them immediately via Baidu cloud. Overall, Baidu Antivirus 2014 is very impressive considering its ultrafast response time and perfect compatibility. Experienced users can install the product and configure according to their needs with minimum effort. 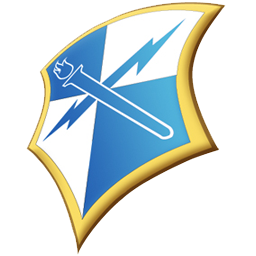 Online Armor is an award-winning security program mainly designed to provide 100% protection for your computer against all malware, spyware, Trojans and phishing attacks. 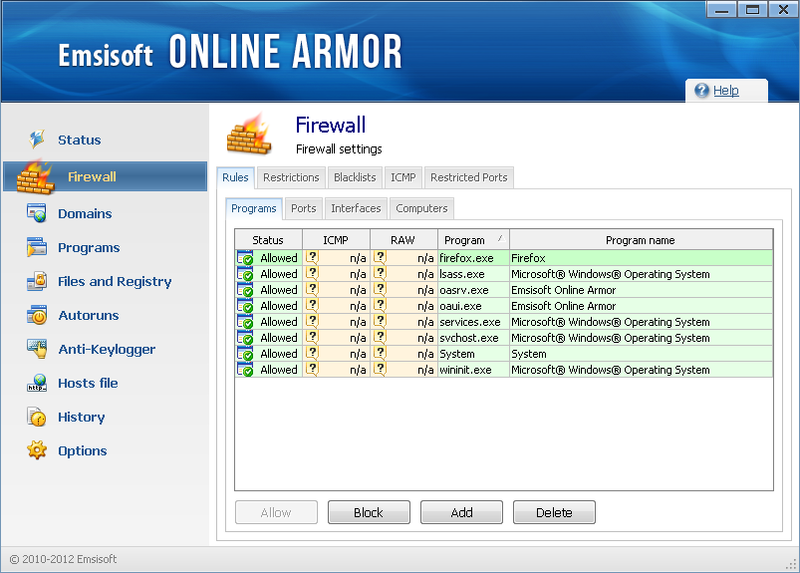 Online Armor works as a firewall that allows you to block access to various programs as well as edit ports. You can view the available networks, add domains and set their status (protected, blocked, trusted), and even control program behavior. The program makes the applications run safer than normal. Online Armor Free 7.0 is the new version and the premium edition is available for advanced users, those who can utilize its full potential. The program is also available for a 30-day fully functional trial version. Once the trial period expires, you can either choose to buy a full version license or stick to the limited freeware mode. If you have antivirus software running on your system, then you can’t install Online Armor. 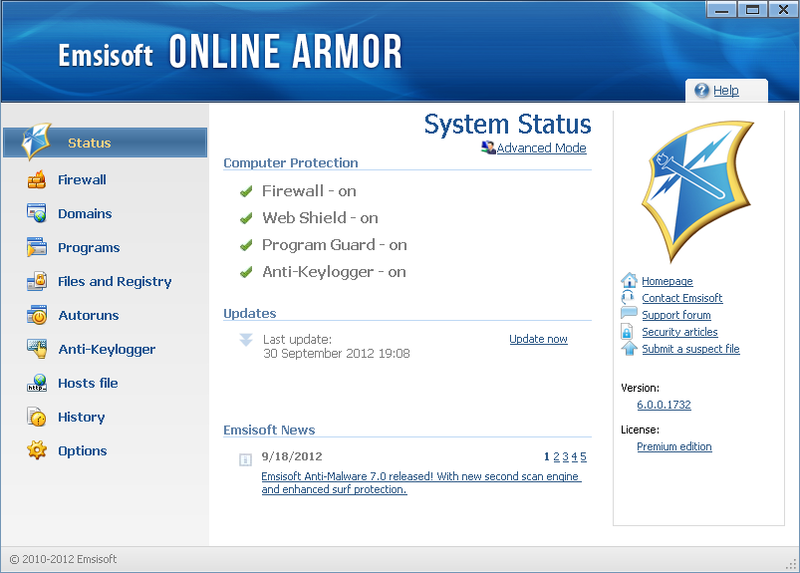 Because, Online Armor provides you complete protection letting you install only safe programs using its HIPS component. The program is compatible with Windows 8, 7, Vista and XP (both 32-bit and 64-bit) operating systems. It runs perfectly on your system if your RAM is at least 1GB. (NEW) Fully Windows 8.1 support. (Improved) Compatibility for both Chrome-based browsers along with Sandboxie, VoodooShield, and other security applications. When you initiate the program, it prompts to set up the configuration. It guides through a step-by-step tutorial that shows you set your own preferences. You can even enable Online Armor to automatically trust everything found on your computer. It checks for updates, scans for well-known dangerous processes, system files, autorun items, etc. using the “Safety Check Wizard”. You need to restart the computer after the complete configuration. The user interface is simple and straightforward, placing all the significant items on the left-side of the wizard such as Firewall, Domains, Programs, Files and Registry, Autoruns, Anti-Keylogger, Hosts file, History and Options. The computer protection status, updates and latest news of the product is placed in the middle. 3-Mode Firewall – Starts in “Standard Mode” for easy management, “Advanced Mode” for experienced users to restrict access to only selected networks or to prevent access to websites from particular countries that spread malicious software. The third mode “Banking Mode” offers secure online banking. Program Guard – Maintains a list of safe/dangerous programs to make it easier for you to choose what to trust. Mail Shield – Filters your incoming email and alerts you when it detects a suspicious email or email with embedded virus. Monitoring Browser Settings – Protects you from unauthorized changes of your internet browser by external programs. Trusted/White lists – Maintains a list of safe and dodgy items and alerts you when dangerous items are detected via the automatic updates. Autoruns Manager – Monitors the system, alerts you when programs automatically start/load, and lets you control them. Finally, Online Armor Free 7.0 ensures that no keylogger or malware is infected, offering a great deal of protection for your PC. Avast! the leading security software vendor in the current market has released another freeware edition – AVAST! FREE ANTIVIRUS 2014, which includes an intelligent antivirus engine called “DynaGen” that sends micro-updates to your PC in real time to kill malware faster. This 2014 free edition will be compatible with Windows 8, 7, Vista and XP operating systems which can be downloaded at zero cost from Avast’s official website. The user interface of Avast is renowned for its elegant and clutter-free design and the current version make no difference. It has many features to clean up infected malware on your PC using the heuristic malware detection mechanism, and thus the risk of losing personal data is reduced. Avast (Anti-Virus – Advanced Set), an antivirus software developer took numerous awards for 100% virus detection. Avast! has 17.4% of the worldwide antivirus vendor market share according to the recent statistics. Avast! is the most trusted antivirus around the globe with 200+ million users used in more than 40 languages. 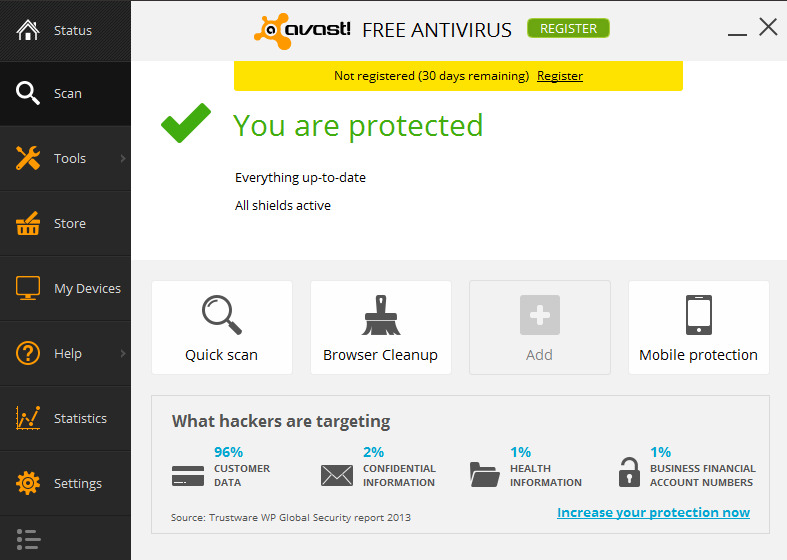 The latest version Avast! Free Antivirus 2014.9.0.2011 has been released on December 17, 2013 allowing Windows XP and later versions to download and use. You can try 20-day free trial of Avast! Internet Security 2014 during the product registration that offers maximum web protection when shopping or banking online. It protects your sensitive data from hackers and filters spam & email scams. 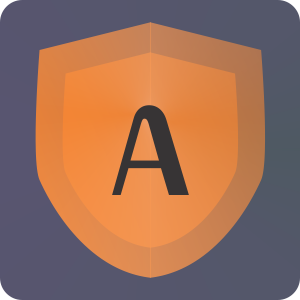 (NEW) SafePrice, an optional module is added to the Avast browser plugins, designed to combine security with finest deals into solitary, easy-to-use module. (NEW) An Interactive Tutorial is added to enlighten trialware users about all the product features in a crisper and clear-cut style. (IMPROVED) File System Shield’s driver now copy files and install programs faster than ever, giving you the ultimate performance. (IMPROVED) The installer/updater now allows more dependable installation for infected machines. (IMPROVED) Web Shield improves in stability and performance and can detect more threats, and now it doesn’t work as a “transparent proxy” anymore. Avast! Free Antivirus 2014 is perfect choice for people who browse internet very often that aim to protect your system from a potential threat of malware or virus infection. The product contains all possible modern tools that will remove or reduce the risk of losing your significant information. It includes Anti-rootkit program and faster scanning module with enhanced detection capability. The real-time “Shields” constantly monitor your internet browsing activity such as connections, email, files downloaded, etc. As this is free version only three “Shields” are available – File System, Mail and Web Shield. The “File System” shield checks all files that are right to use, so as to prevent malware from launching. The Mail Shield prevents malware from infecting your system via email and Web Shield does the same via the Web. Avast! Free Antivirus 2014 installs nicely on all Windows operating systems without any issues. During the process, it adds a security plug-in for your browsers which turns you away from deceitful or phishing websites that try to rob your important user credentials. You can run a boot scan after the installation for full cleanup that provides you with few options such as fix automatically, move to chest, delete, repair, and ignore threats solitarily or entirely. The user interface of Avast! Free Antivirus 2014 has a complete new look mainly intends to support touch-enabled PCs. The main window includes four user customizable buttons for frequently-used features. The smooth icons and subtle menu animations looks great that creates a cleaner experience for users. Powered by new DynaGen intelligent antivirus engine that torrents micro-updates to your computer in real-time, to grab new malware faster. Avast! FileRep – Intelligent scanning engine takes smart decisions on whether a file is safe to open via a billion unique files in Avast!’s cloud. Avast! WebRep – An Online Security browser plug-in for detecting unsafe websites. There are four scanning modules – Quick, Full, Removable and Custom scan. As said earlier, a boot-time scan also included which is very handy that attempts to scan your PC before the OS is completely loaded, thus taking control of particular system files. Depending on the size of the drive and the amount of data stored locally, the “Full System” mode takes more than 90 minutes to finish the task. The components like browser plug-ins, though useful may not be useful for certain users, the installer recommends you to install. An improved firewall alerts when you come across phishing sites and scams while browsing internet. WebRep, a browser plug-in tracks the behavior of social and analytical websites. Avast! Free Antivirus 2014 also includes a dashboard for showing security statistics, pop-up notifiers for system status and security news. The dashboard also provides a multi-device manager and a streamlined upgrade pipeline via in-app store. Finally, Avast! Free Antivirus 2014 continues its legacy in bringing excellent security features into a single product where you can expect higher malware and virus detection scores and real-time protection with its new and advanced technology. Norton 360 is a comprehensive online security suite offering two extra services than Norton Internet Security i.e. file backup and PC tuneup facilities. The suite includes complete PC protection features such as antivirus, personal firewall, anti-phishing, backup and tuneup programs. 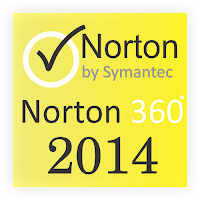 Now the 2014 version of Norton 360 is released by Symantec, which comes with trialware license as the prior versions, supported by Windows 8, 7, Vista, XP and Linux operating systems. The new version was released on September 4, 2013 along with Symantec’s Antivirus and Internet Security products. Some latest features have been added to the 2014 version which includes resolved lost internet connection while installing on Windows 8, resolved error while trying to load ‘Support page’ through NAV Main UI, and fixed issue where a ‘New Folder’ is created in outlook whenever it is opened with Norton Anti-Spam enabled. 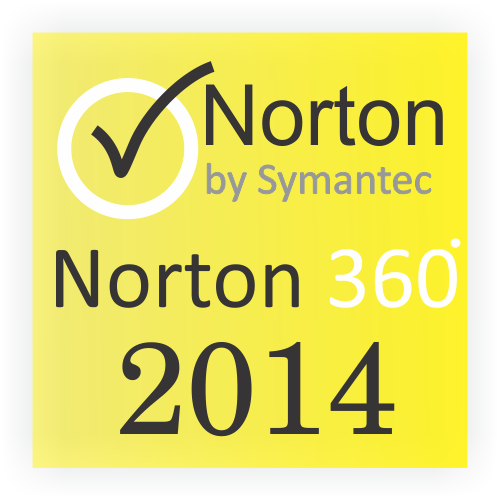 The full version of Norton 360 2014 v21.1 can be purchased for $89 (annual subscription) or can be used as a 30-day trial software. Norton 360 2014 offers all-in-one security protecting your PC from spyware, viruses, phishing websites, malware, and the latest online threats. The protection embraces safe online banking or shopping, uninterrupted game-play, sending email, or downloading files. It also keeps your computers tuned for highest performance. 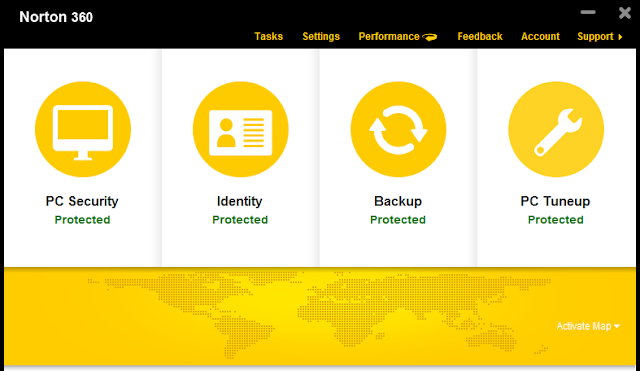 Another excellent feature from Norton 360 2014 is automatic backup/restore program which protects your important data by backing up files to a secure online storage service or locally on your computer. It offers 2 GB of cloud storage requiring high-speed internet access, with option to pay for more. 6) Automatically backs up every significant data of yours to Symantec’s free 2 GB online storage or locally via ‘Automatic Backup’. Apart from the above significant features, Norton 360 2014 has two noteworthy changes i.e. enhanced Norton Identity Safe and the password manager/form filler. The interface has been revamped along with the ‘Norton toolbar’ that includes improved ‘Form filler’ with drag and drop facility. The improved behavioral detection is effective in all ways and there are more reliable cleanup tools to fix your computer errors and problems. The installation is simple to handle but doesn’t improve although previous installs does the same. The startup time got better compared to its prior versions. The performance also has been increased but Norton Internet Security 2014 does a better job in tweaking. You can download Norton 360 2014 v21.1 extended 60-day trial from the below download link for free whereas, if you wish to upgrade or renew Norton 360 suite, you can better do it on Norton.com/360 website.